Ever feel intimidated walking into a bike shop? 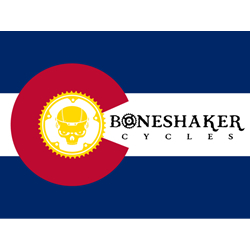 Well you don’t need to at Boneshaker Cycles. We don’t care if you don’t know a derailleur from a chain ring – we are here to help! Buena Vista’s dedicated local bike shop. Friendly and knowledgeable staff, open year round. Buena Vista Colorado full service year round bike shop. Friendly and knowledgeable, Sales service rentals repair apparel accessories and gifts for the full spectrum of cyclists, Fat bike specialists.